Located in the Phoenix Arizona valley, we at Signature know what it takes to build a door to fit in with a variety of styles across the board. 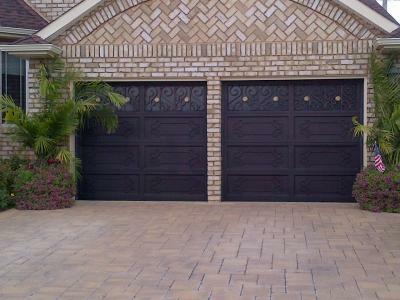 We can custom build our doors to fit your preferences, like the Signature Iron Garage Door shown above for a valued customer in Scottsdale Arizona. Or you can choose from the doors we have on display in our showroom. Our on staff designers and professional sales staff work around the clock to make your dream homes come to life. So please stop by and see our showroom and feel free to call us at 480-388-3535.